If you look at the Italy train map, you’ll easily see that this country has an extensive rail network, connecting major cities and smaller towns. 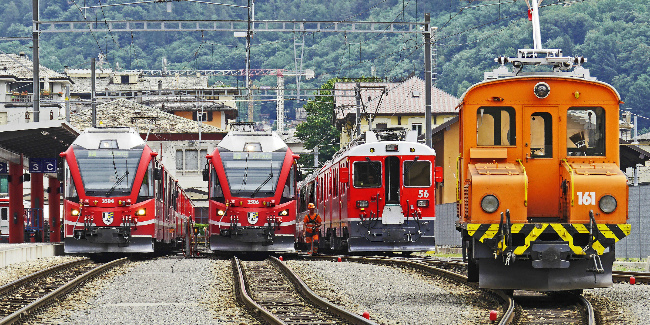 High-speed rail is a well-developed thing in Italy and bullet trains link many popular Italian cities from the city center to city center in short travel times. For this reason, this mode of travel is a favored option when compared to buses and airplanes, winning over the hearts of travelers by great overall travel times, comfort, fair prices, and on-schedule departures and arrivals. Just think about it, when you travel on a high-speed train, you don’t get stuck in traffic jams (which is possible when taking a big bus) and you don’t waste your vacation time for getting to and from the airports (which are out of town). The most popular routes from the Italian capital are: the Venice to Florence train (rail trip duration: 1 hour 20 minutes); the Rome to Venice train (3 hours 35 minutes on the road); the Rome to Naples train (54 minutes! ); and the Rome to Milan train (travel time: 3 hours). Domestic routes which are in demand from the romantic Italian city of canals are: the Venice to Florence train (approximately 2 hours) as well as the Venice to Rome train (3 hours 35 minutes). As for the world’s fashion capital, the Milan to Venice train (2 hours 50 minutes ride) and Milan to Florence train (1 hour 45 minutes) are among the main ones that are in favor of travelers. Finally, the Italy train routes from the beautiful Tuscany Renaissance city are the Florence to Milan train (travel time: 1 hour 45 minutes) and the Florence to Venice train (about 2 hours). What’s for the rail routes of the Italian islands, unfortunately, there are very few of them. As such, Sicily doesn’t have high-speed trains at all yet as the island is very hilly, but you can reach, say, Palermo from Cefalu, on regular trains.